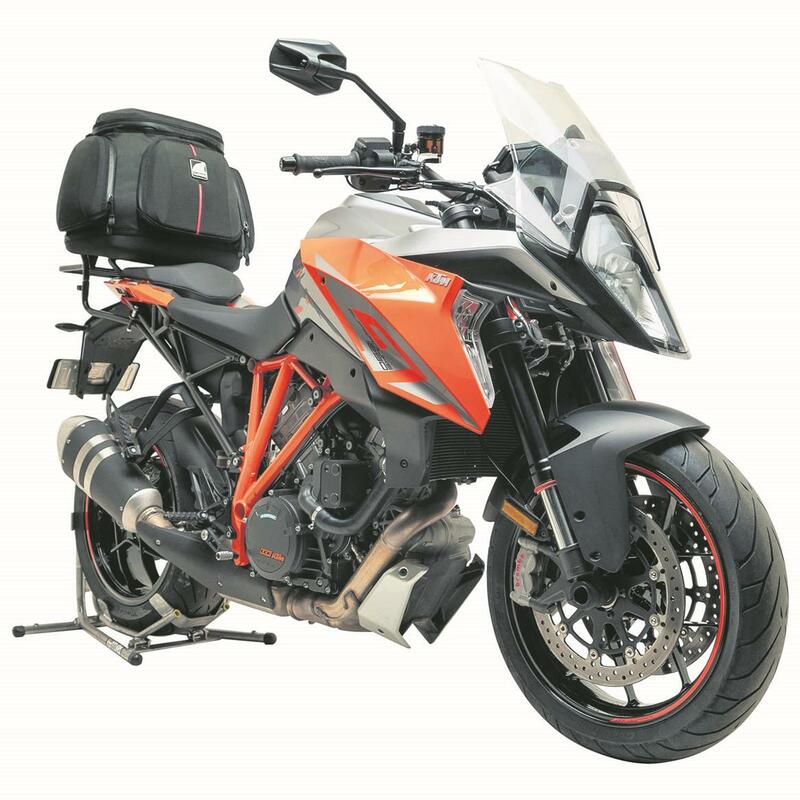 KTM’s new 1290 Super Duke GT is all about combining travel ambition with sporty capability. But the official KTM panniers might add a touch too much width for some, which is where this Ventura set-up may appeal. MV Agusta boss: "Yamaha team up with Krugger Motorcycles for MotoGP inspired Yard Built Supercharged SR400"
The idea has passed the test of time, holding a large bag at the centre of the tail so there’s little effect on handling. Ventura’s L-brackets attach to the subframe, which then take a Pack Rack to which the bag is secured with clip-up straps. Bags are available in a range of sizes, but the 47-litre Mistral bag (pictured) is enough for a week away. Parts are priced separately, but the £340 figure covers L-brackets, the Pack Rack and a Mistral bag, plus a grab handle that attaches to the L-brackets.